Everyone unanimously agree that since the Ethiopian Prime Minster Dr. Abiy Ahmed came into power, he has been playing a major role in creating oneness and a sense of belonging among the general public. Unpredictably, the wind of change had washed out predicaments shackling the hands and feet of the general public. 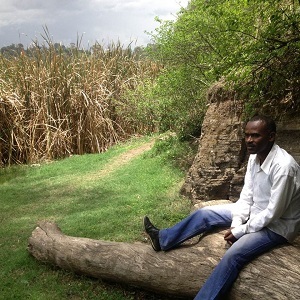 The premier has won the hearts and minds of Ethiopians living at home and abroad at the stroke of a pen. Considering the call of the Ethiopian premier Dr. Abiy Ahmed, Ethiopian Diasporas are returning home from a wide spectrum of the world with a view to joining the adding up strategy and chipping in for their motherland. What are their feelings, observations and recommendations? This journalist had a moment of togetherness with Diasporas coming from a wide range of areas across the globe with the intention of having their impressions, ideas and thoughts considering the current reform surfacing in every nook and cranny of the country. To begin with, Selam Tekeste is an Ethiopian Diaspora. She is from Canada. She left for Canada some years back given there was not an ounce of hope that everyone deserved across the country. 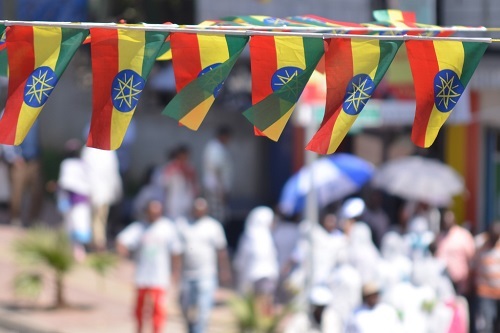 Due to a rent seeking bent and uneven distribution of wealth on top of ethnicity-charged politics, Ethiopia was heading in the wrong direction time and again in this regard. The situation of the country was getting into murky waters over and over again. The whole thing going on across the country eclipsed her mood. According to Selam, the concept of synergy or adding up will not get to the bottom of a certain sticky situation overnight. Inclusiveness helps troubleshoot the problem-posing situation with no trouble. The concept of synergy teaches one to pass through a wide array of twists and turns with the purpose of achieving the intended target. To the best of my knowledge, we should put the concept of synergy into practice after a short time. Moreover, as a leader looks for good followers, we should get ourselves ready to be good followers and help our county harvest the fruit of success within the shortest time possible. In fact, I trumpeted the victory with my friends. She noted that the incumbent should untiringly work till transparency takes root across the country. As a matter of fact, if Diasporas lose the trust of the government, they will not hesitate to give the cold shoulder for their country’s causes. “When Dr. Abiy Ahmed made the call to Diasporas and opposition parties living aboard to return home, I did not imagine his efforts would bear fruit in a short time. The wind of freedom is blowing in the left, right and center of the country at this point in time. The premier had made a broad array of reforms across the country aside from making a peace deal between Eritrea and brokering peace with other east African countries. Moreover things are conducive for investors. Hence members of the Diaspora community could contribute their due share in spearheading the country’s development,” he wrapped up.